Rogue River, OR (March 2013) – Recent stats prove that the Concrete Measurement Forum sponsored by Wagner Meters is accomplishing exactly what it set out to do – provide a place for industry experts to share information about concrete moisture measurement and other flooring information vital to the industry. This month, the page view count for the forum passed 2.1 million views, as more and more flooring and building industry experts have found the concrete forum to provide the information and support they need. Moderated by Ray Thompson, Jr., a Washington-based installation expert and flooring veteran, the forum covers a variety of topics introduced and discussed by industry professionals from diverse locations and backgrounds. It’s a place to learn best practices and ask for industry input from the people who know all about concrete moisture measurement, industry standards, and the implications for flooring installation experts, architects and concrete contractors. The forum’s growing number of contributors continues to build a valuable resource location for news and information about concrete moisture and RH testing for concrete slabs. 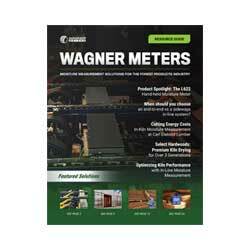 To learn more, or to take part in the growing forum, visit https://www.wagnermeters.com/concreteforum/ at Wagner Meters.